It's Release Day for the darling, new stamps and Sweet Cuts here at Paper Sweeties! 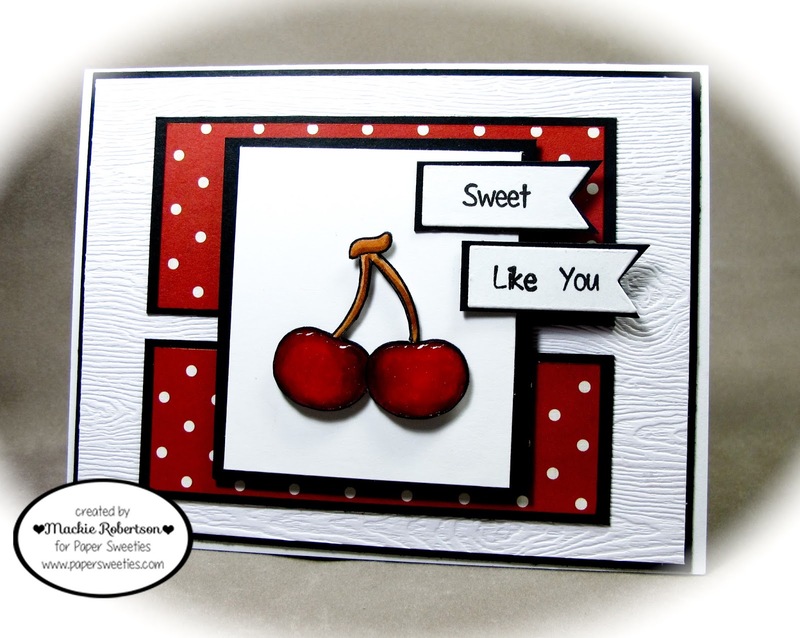 Just look at these yummy cherries from the Home Grown stamp and Sweet Cuts set! After, I stamped and colored the cherries, I added a layer of Glossy Accents. Don't they look juicy and delicious? Please go see what my awesome Paper Sweeties Teamies have created! Love the bold red color with the black! 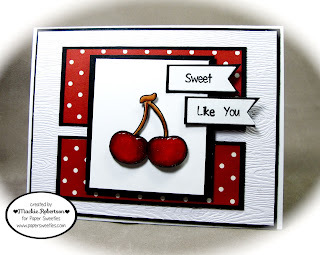 And, those cherries are so awesome with the fabulous shine!! Love those glossy cherries! And the bold red, black & white is perfect! Gorgeous card, Mackie! Love your gorgeous card Mackie! Those cherries look so delicious!!! Mackie, this card is stunning! I love all the high contrast, and the glossy cherries DO look delicious!